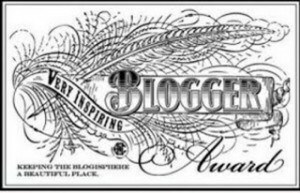 Today the beautiful and amazing HMC notified me that she had nominated me for the Very Inspiring Blogger Award. To me this is HUGE! I have just started blogging recently and I am still trying to figure out most of it. HMC has an amazing and inspiring blog herself so for her to nominate me was astounding! So again I say thank you! My blog aims to teach woman and girls how to love them selves. My goal is to help my fellow females feel beautiful. I am a psychology major and plan on dedicating the rest of my life to this goal I have. I recently learned to do this myself and haven’t stopped smiling since I learned to love me I want eh world to be full of others smiles too. 3. I used to hate my red hair but now I love it! 4. Tigger is my favorite character EVER! Your welcome! And thank you soo much!! I love this for the same reason its amazing how peoples words can be so moving and inspiring. I have found so much inspiration from blogs like yours! awe thanks so much for nominating me!! Your very welcome you deserve it! your blog made me wish I could do something as beautiful as you can with your camera!! keep up the great work your inspiring people to chase there dreams! Well well well, I couldn’t very well accept without looking through your blog first. Thank you very much for your nomination! I appreciate what you’re doing here, and I do hope you’ll continue your work(preferrably in a much more regular manner than I manage, woops!). You’re doing great and I will be sure to spread the love as well. Thank you again. This made me grin from ear to ear. I think you know how to write a really valuable post. Thanks! I found this weblog very great and I just wanna say thanks. I hope you keep up the great work!